I love my iPhone. Let me rephrase that. I loooooove my iPhone and how it assists me with running a business. I seriously don't know how I ever lived without it. Like a microwave. I makes me cringe when I think back to the days of trying to run a business with a basic flip phone. Anyway, I've been waiting to be able to offer this new product for a few months now and am excited to finally have it available- your very own custom iPhone skin! 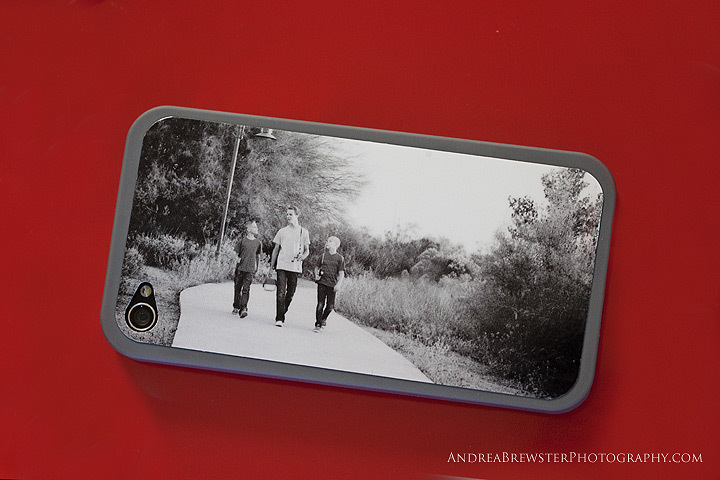 I've a had few no biggie phone cases, but what I really like about this is the way to make it all about you! We can take your favorite image from a recent session or feel free to even submit an image of your own and we'll get it made! Skins are currently available for the iPhone 4, 4s, and 5. And here's what's on my own phone- my 3 favorite boys. The only thing that would make it better is having my husband in the image!